Recent attachment research suggests that children with avoidant attachment often underreport their psychological distress compared to their physiologic indicators of distress (neuroendocrine reactivity, startle response, event-related potentials). This pattern of behavior (referred to as psychobiological divergence) may confer risk for suboptimal coping behaviors, including substance use, sexual risk-taking, and non-suicidal self-injury (NSSI), because individuals who are not aware of or cannot express their emotional needs may engage in maladaptive strategies to regulate their emotions. In the current pilot study (N = 45 youth), we investigate whether psychobiological divergence of neuroendocrine and self-reported reactivity in middle childhood prospectively predicts health risk behaviors (HRBs) in adolescence. The results revealed that divergence was significantly associated with adolescents’ substance use and non-suicidal self-injury (NSSI), but not with their sexual behavior. Among adolescents currently reporting low levels of attachment security, divergence was associated with greater self-reported NSSI. Our results provide initial evidence that psychobiological divergence confers risk for substance use and NSSI in combination with current relational distress. We discuss the implications of our findings for adolescent development and clinical risk. J.B.: conceptualized the design, executed the study, conducted the data analyses, and wrote the manuscript. L.H. : collaborated with the writing of the Introduction and Discussion. L.E. : designed the adolescent follow-up assessment, conceptualized the hypotheses, and contributed to analyses and writing. All procedures performed in studies involving human participants were in accordance with the ethical standards of the institutional and/or national research committee of Pomona College and with the 1964 Helsinki declaration and its later amendments or comparable ethical standards. Informed consent was obtained from all individual participants included in the study. Parents completed consent forms, and children completed assent forms. Becoña Iglesias, E., Fernández del Río, F., Calafat, A., & Fernández-Hermida, J. (2014). 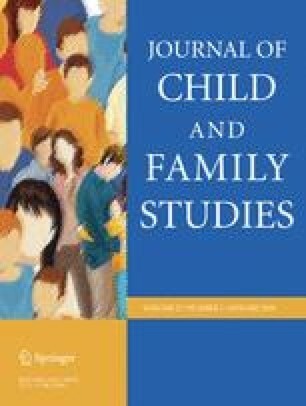 Attachment and substance use in adolescence: a review of conceptual and methodological aspects. Adicciones, 26(1). 77-86. Retrieved from http://www.redalyc.org/html/2891/289130504010/. Winters, K. C., Botzet, A., Anderson, N., Bellehumeur, T., & Egan, B. (2001). Screening and assessment study, Wisconsin Division of juvenile corrections, alcohol and other drug abuse. Madison, WI: University of Minnesota. Minneapolis: Center for Adolescent Substance Abuse Research. Retrieved from https://uwphi.pophealth.wisc.edu/programs/evaluation-research/adis/winters-report.pdf.